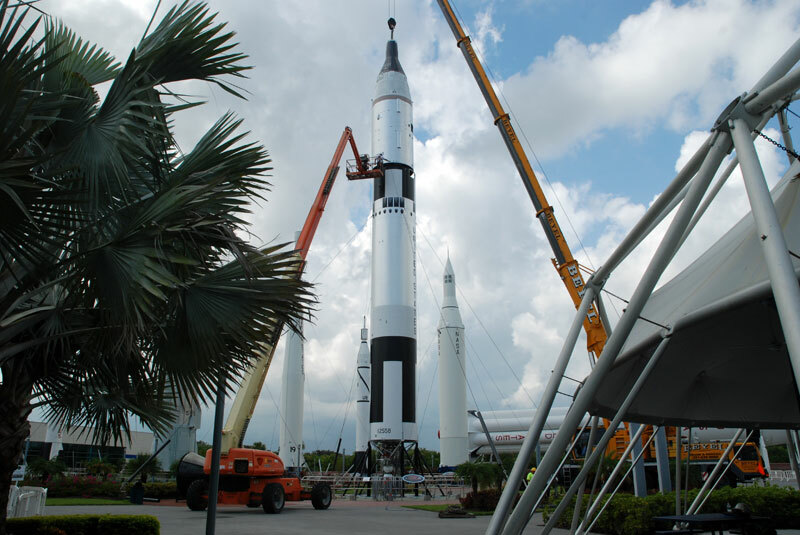 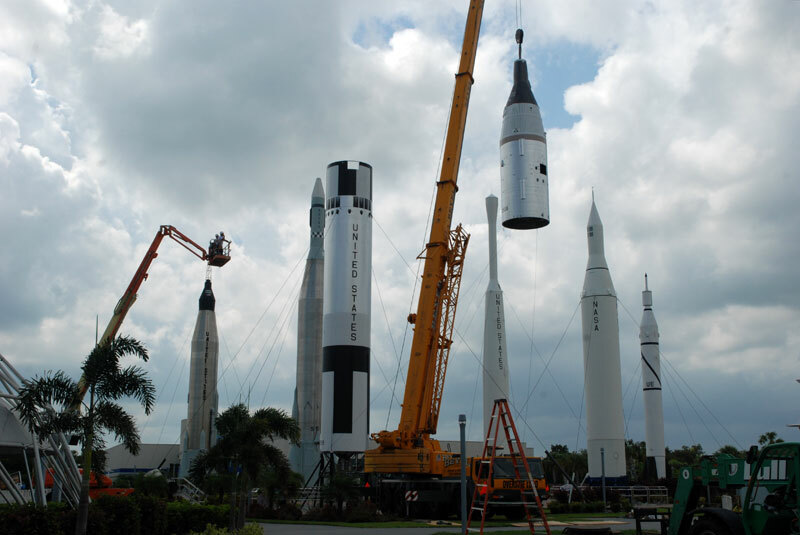 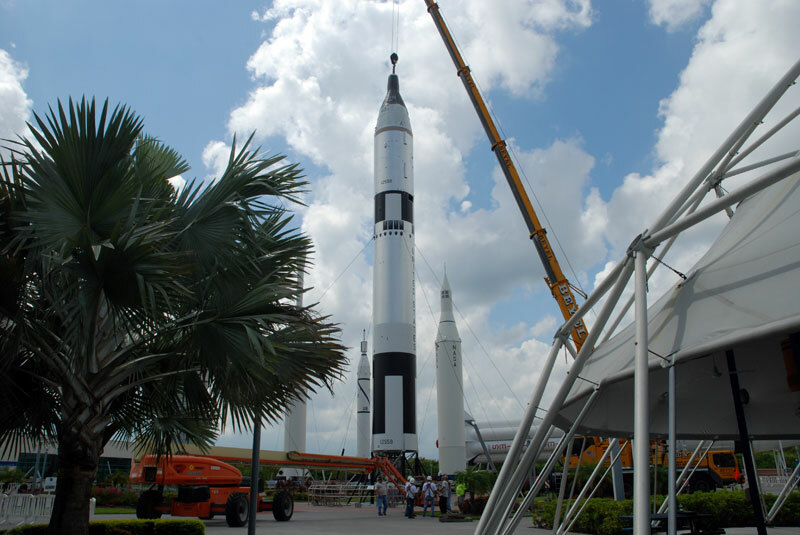 — Four years after the removal of a similar looking but less authentic and damaged display, NASA's Kennedy Space Center Visitor Complex installed Wednesday a newly-refurbished Gemini-Titan into their Rocket Garden of historic launch vehicles. 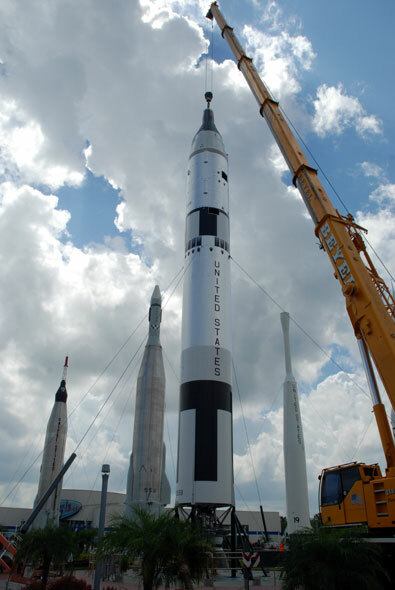 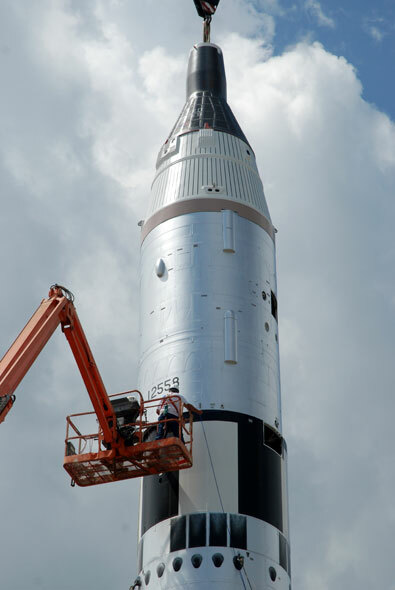 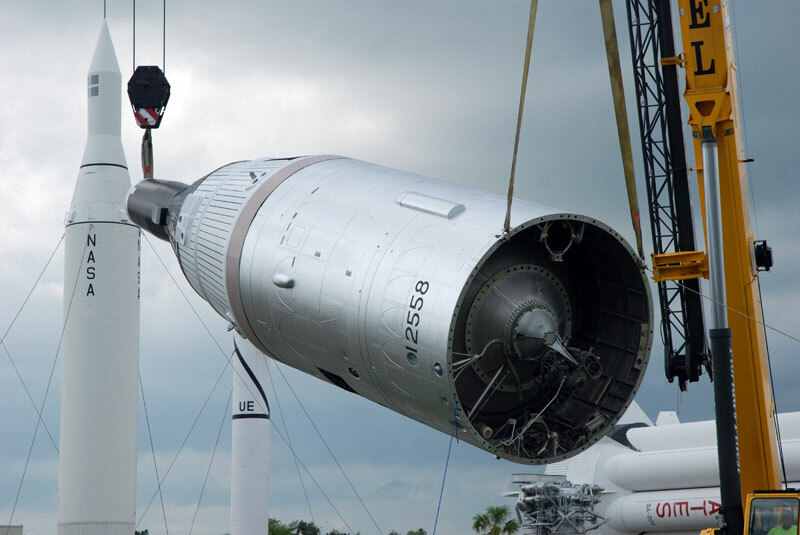 Unlike the earlier rocket display, which was built out of two Titan I first stages, the newly-erected replica was assembled from real Titan II components obtained by NASA from the Aerospace Maintenance and Regeneration Group (AMARG), an Air Force "boneyard" in Tucson, Arizona. 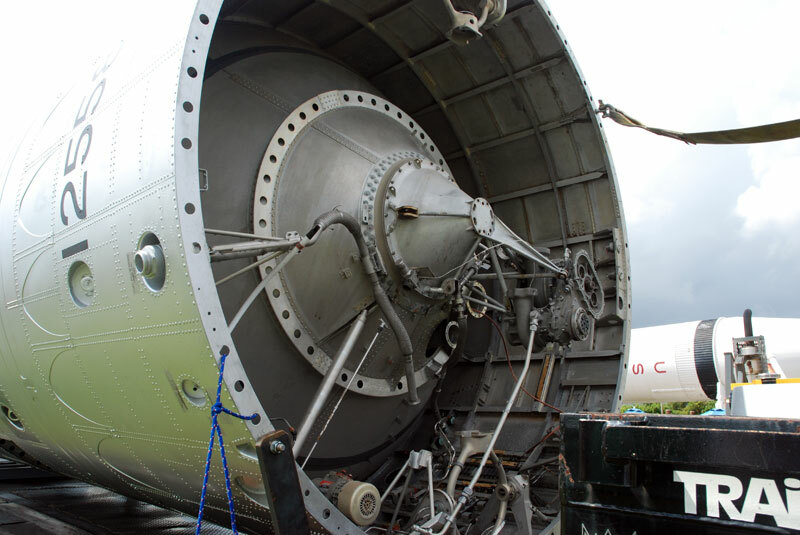 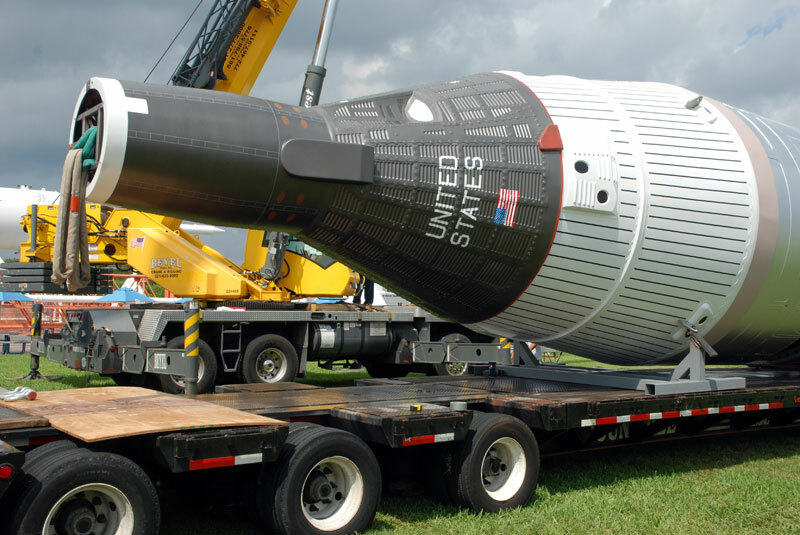 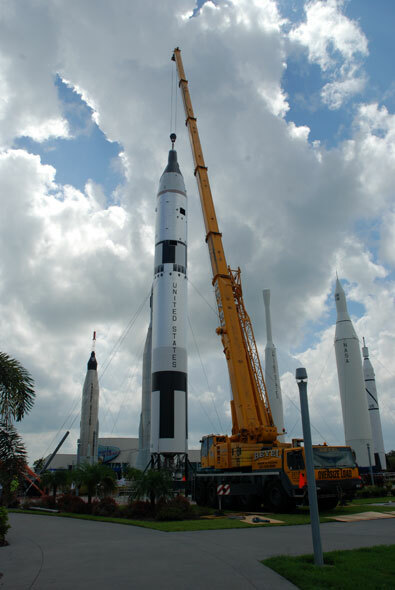 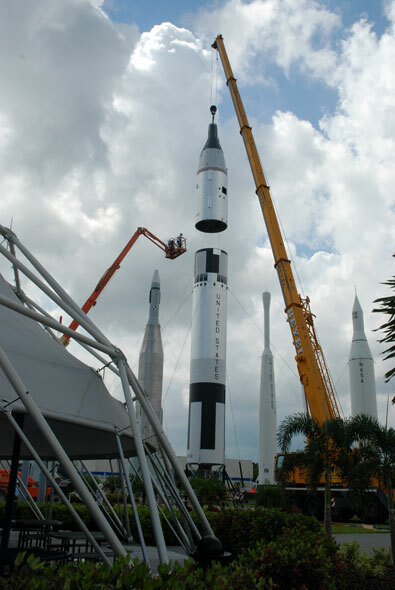 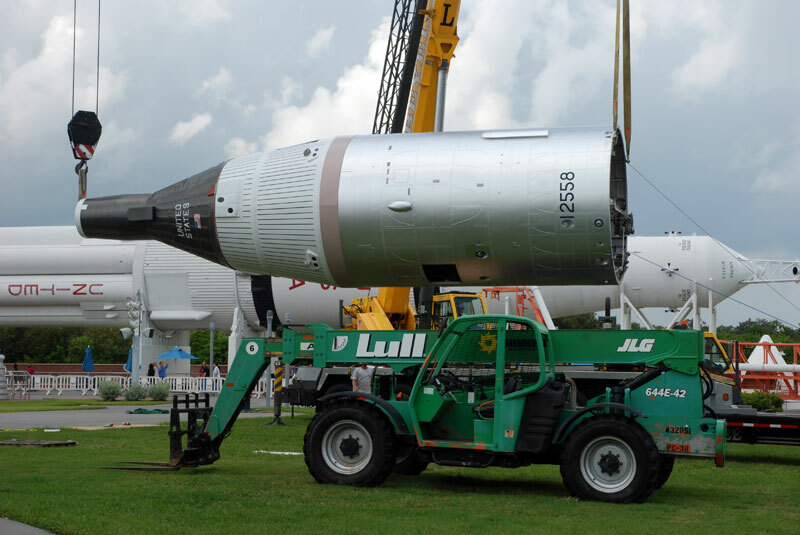 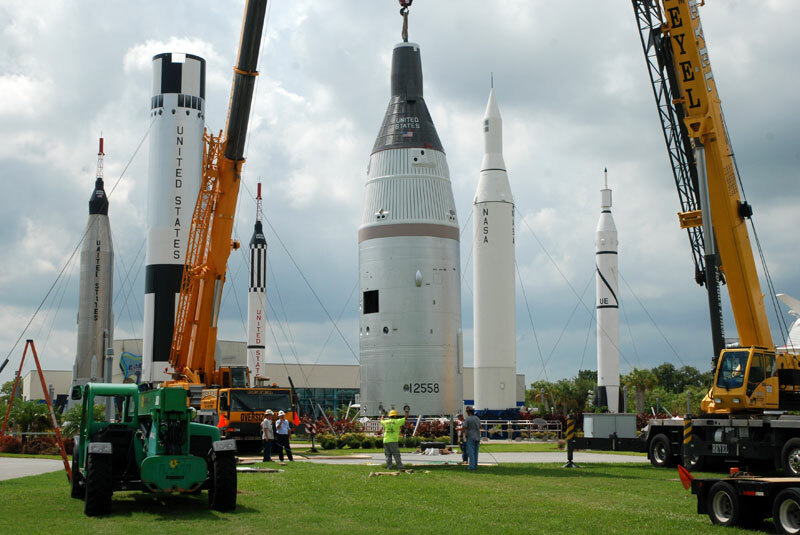 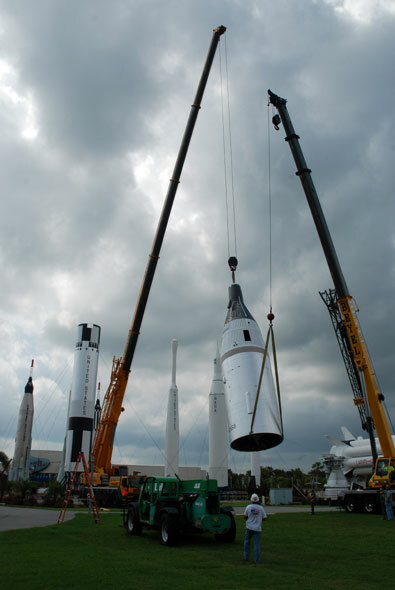 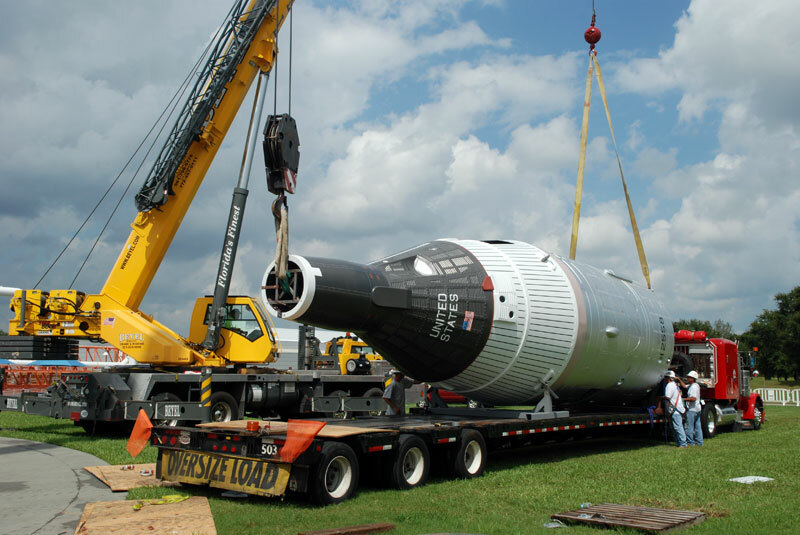 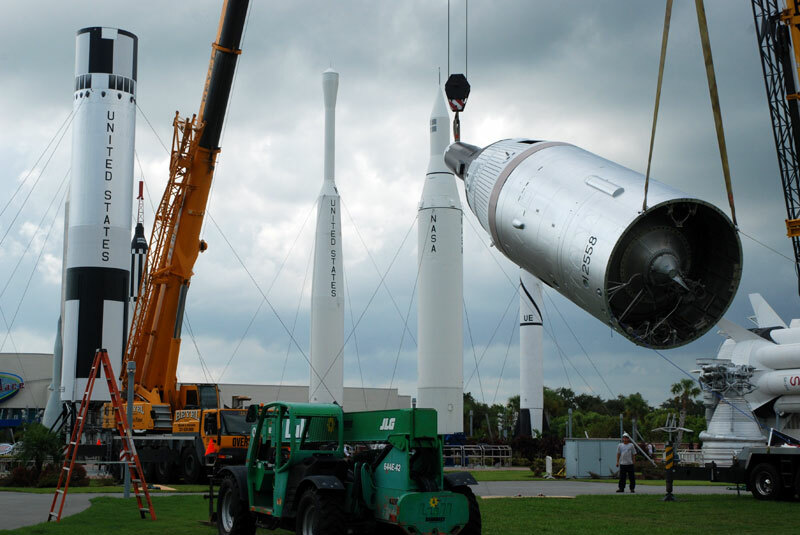 The authentic booster was then topped with a mockup Gemini spacecraft fabricated by Guard-Lee of Apopka, Florida. 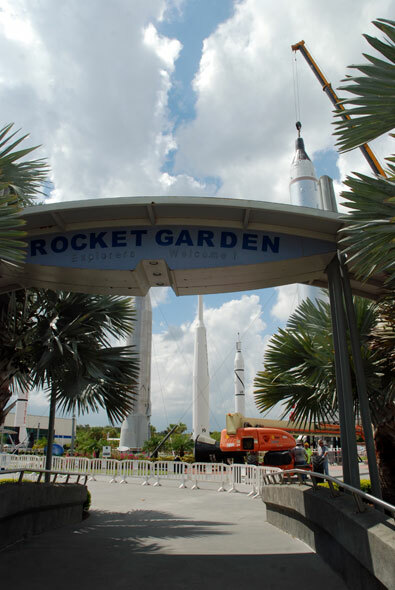 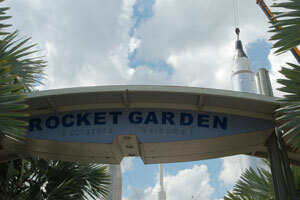 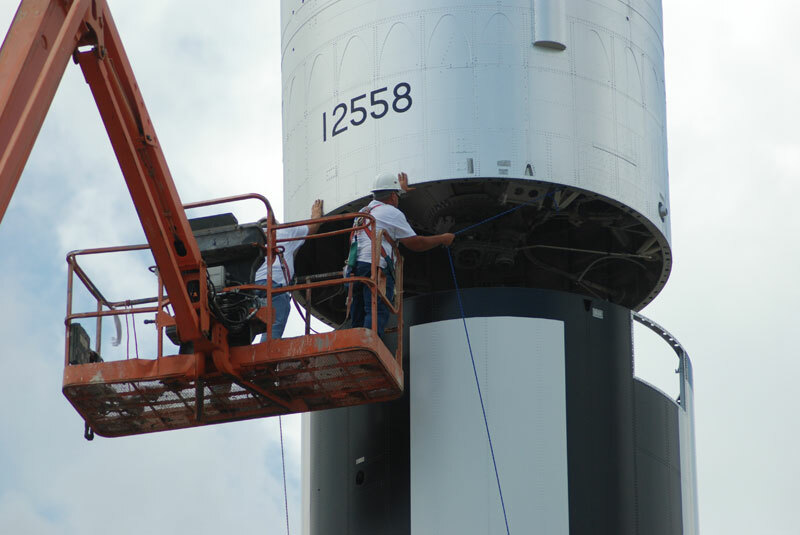 The 109-foot Gemini-Titan has rejoined the garden as the tallest standing rocket, surpassed in length only by the complex's 224-foot Saturn IB lying on its side.